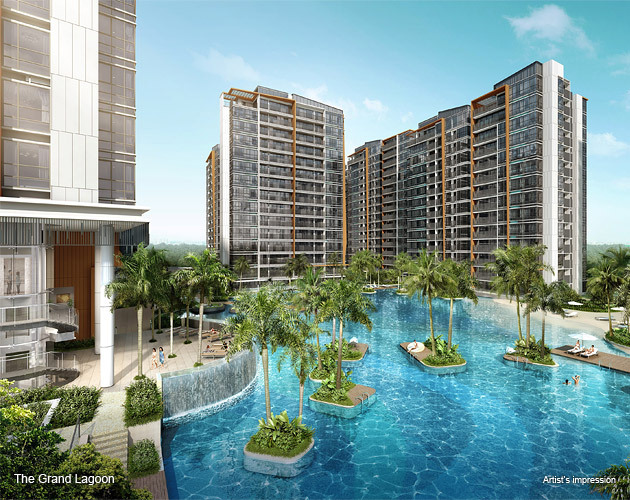 Coco Palms is the final development in Pasir Ris Grove and closest to Pasir Ris MRT. A stunning residential development by City Developments Limited, Coco Palms takes its architectural inspiration from some of the world’s best and most exclusive resorts such as the Maldives, the Caribbean and Fiji. It combines home comforts seamlessly with the laid-back charms of a luxury beach resort. Designed with sustainability in mind, Coco Palms has achieved the BCA Green Mark GoldPLUS Award. Housed in an enviable neighbourhood that offers myriad amenities, good transport networks and leisure options, Coco Palms is an ideal residence for everyone. 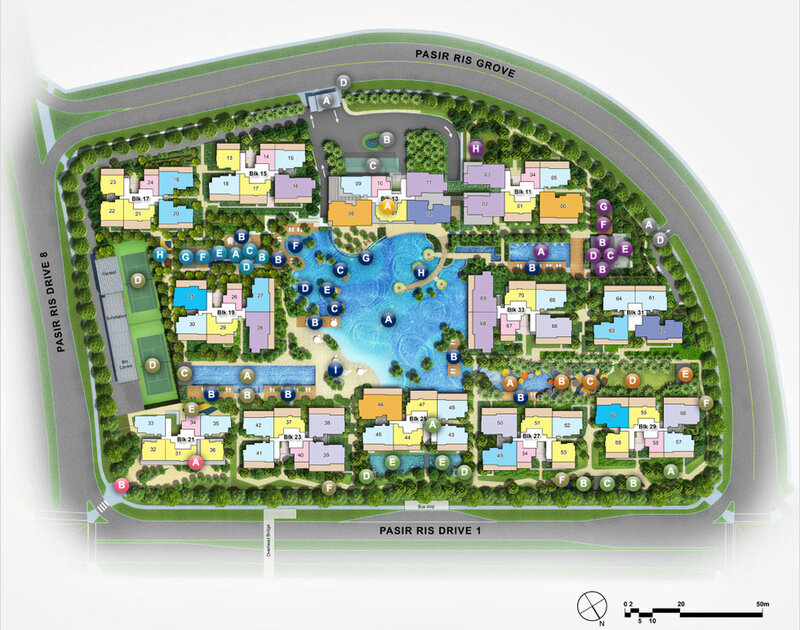 With 6 retail outlets located within the development, it makes living at Coco Palms a breeze. A short drive also takes you to Changi Business Park, Singapore EXPO and Changi International Airport. A plethora of facilities are available within Coco Palms with extensive water features comprising a Grand Lagoon, Salt Water Pool, Hydrotherapy Pool with massage jets, 50m Lap Pool and Play Pool. The 3-storey Club Cocomo revels in pockets of recreation at every level. Its collection of capacious Function Halls and activity spaces provides a resort-inspired environment for your leisure and social pursuits. Leisure options abound as Downtown East’s E!Hub is within easy reach and is ideal for recreational activities with its theme park, bowling and cinema facilities. 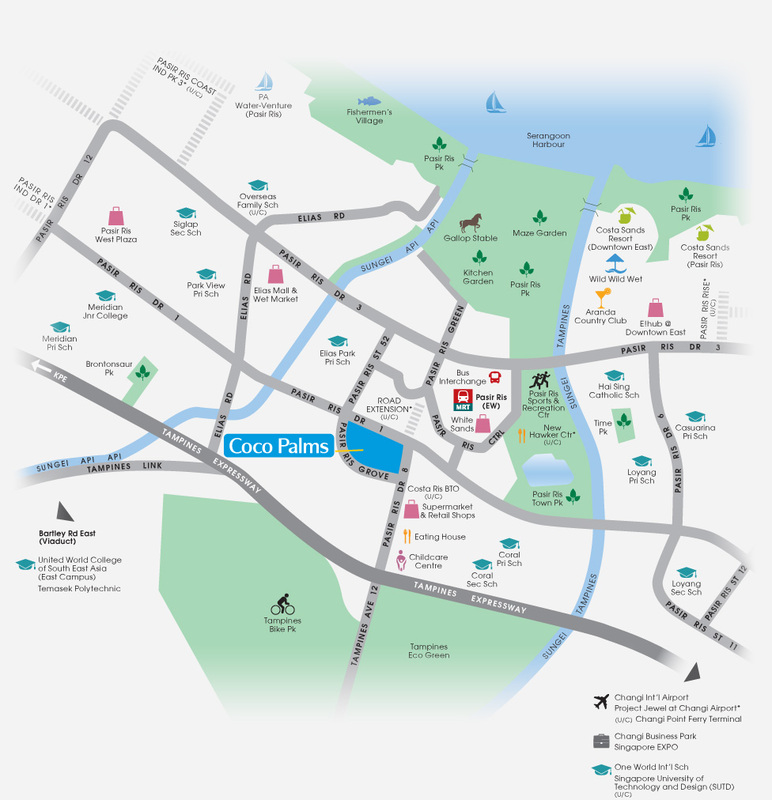 For a back to nature experience, Pasir Ris Park and the Tampines Eco Green Park are close by. 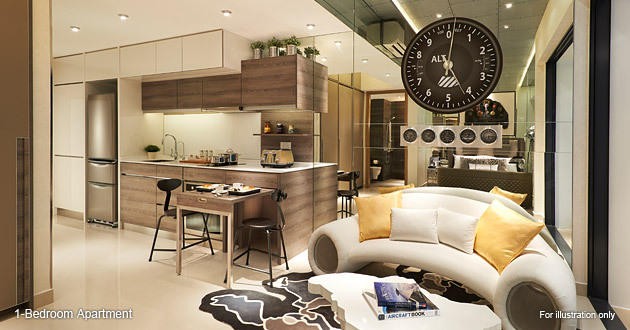 Coco Palms is a short drive to the upcoming exciting lifestyle destination Project Jewel at Changi Airport, as well as IKEA, Giant Hypermarket and Courts Megastore which are one-stop shops for home essentials. 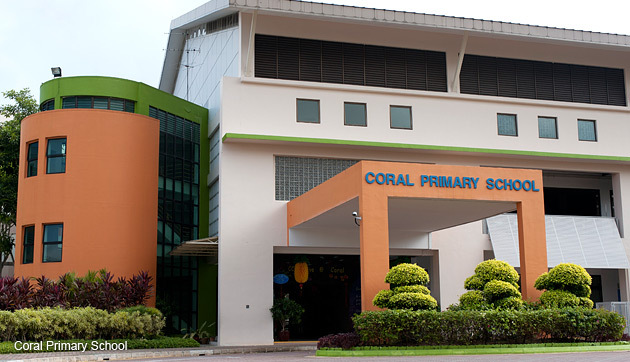 Parents will be delighted to find a wide array of good schools nearby, including Coral Primary School (1 km), Elias Park Primary School (1 km), together with 4 international schools such as United World College of South East Asia (East Campus), The Japanese Primary School, One World International School, the upcoming Overseas Family School and Singapore University of Technology and Design (SUTD). A welcome respite from the everyday, the Zen-like calm of the Onsen Garden is a wonderful place to renew a weary spirit. Let the therapeutic warmth of the “Onsen-style” Hot Bath regenerate the energy flow. Designed to reawaken your senses, facilities include Steam Room, Salt Water Pool, Zen Garden, Meditation Deck and Tea Pavilion to evoke a sense of bliss. At the Hydro Garden, let the rain shower refresh your tired muscles and indulge yourself with abundant facilities like Hydrotherapy Pool, Hydro Massage Jets, Hydro Foot Massage, Yoga Deck and more for a balanced mind and body. Enjoy hours of fun with the little ones at the Play Pool or prepare a sumptuous picnic basket for an afternoon at the Picnic Sun Lawn. There are many ways to spend time together and enjoy the Wind Sculpture and Solar Gardens that help generate electricity to power the solar umbrella LED lights. 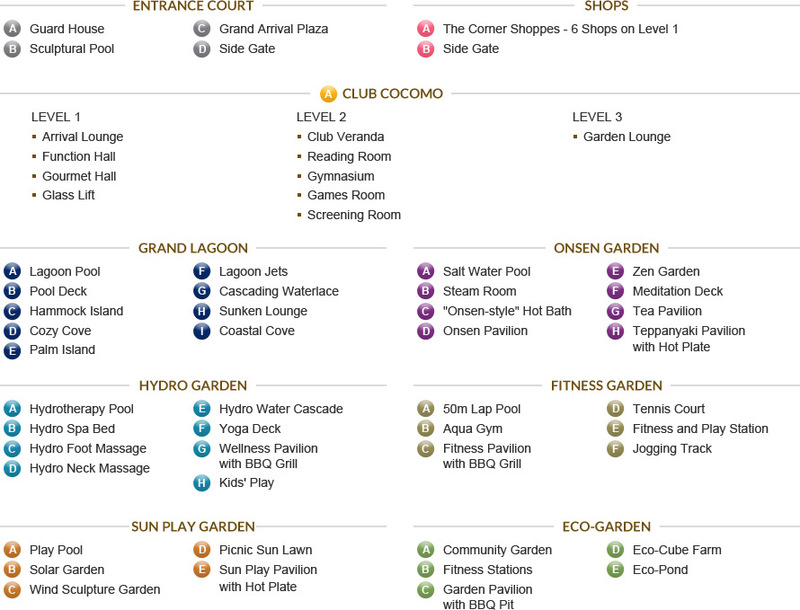 The presence of 6 retail outlets, located within Coco Palms, provide residents the ease of a resort life. Living at Coco Palms means living in the centre of everything your heart desires. From daily necessities to life’s conveniences, you’ll be delighted to find that all your needs are just minutes away. 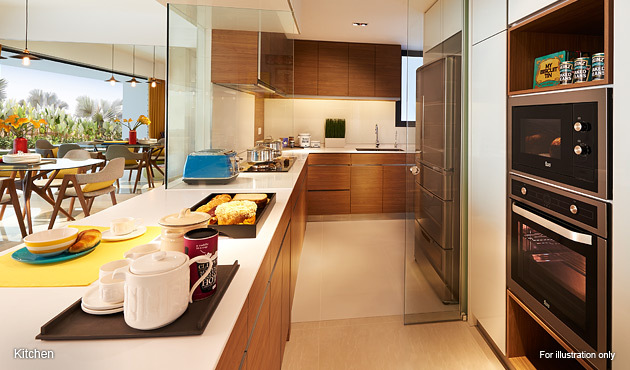 Each apartment is smartly designed in a variety of layouts which offer intelligent storage solutions, maximising space to suit different needs. Unique space-saving features in the 1-bedroom apartment, like an integrated dining table for both meals and work, plus a retractable ironing board^ concealed in a wardrobe makes organising a breeze. 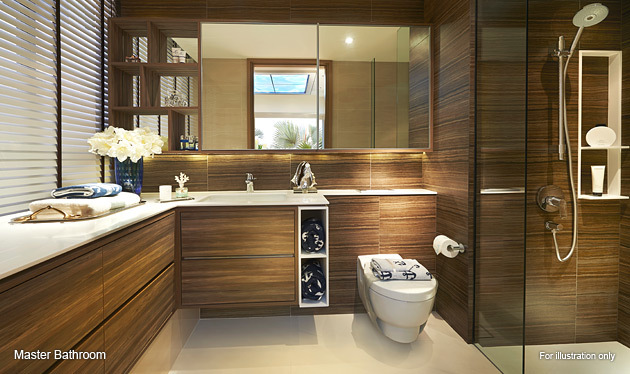 In the 2- to 5-bedroom apartments, a choice of two unique smart storage systems* are available – storage flushed with floor level or bay-window level. 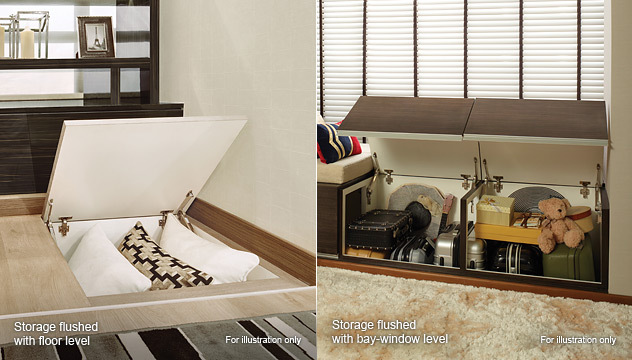 Both are specially designed to accommodate extra bedding and luggage without consuming additional space. * Smart storage is provided in one of the bedrooms only (for 2- to 5-bedroom & dual key apartments except 1-bedroom and penthouses). A suite of premium appliances from the kitchen hood, hob and oven by Teka to a Franke kitchen sink – makes both simple meals and lavish feasts an ease. The specially designed food preparation counter-top flexibly serves as a multi-tasking space and dining table*. An added feature in every kitchen is the built-in Hyflux Ultrafiltration System^ to supply you with purified drinking water through the Hyflux tap. For more information and prices of Coco Palms @ Pasir Ris condominium, simply fill up the contact form below and our sales representative will get back to you shortly!